Left: pulpit from the front, facing the congregation. Right: pulpit from the north side. 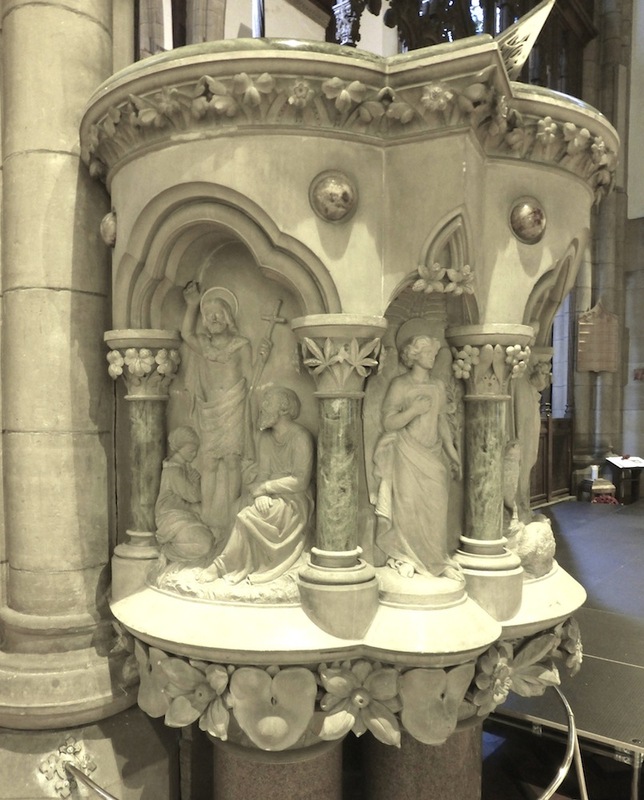 Pulpit in Inverness Cathedral, designed by the cathedral's architect Alexander Ross, and executed by D. and A. Davidson. 1869. Caen stone, with supporting columns of Abriachan granite. 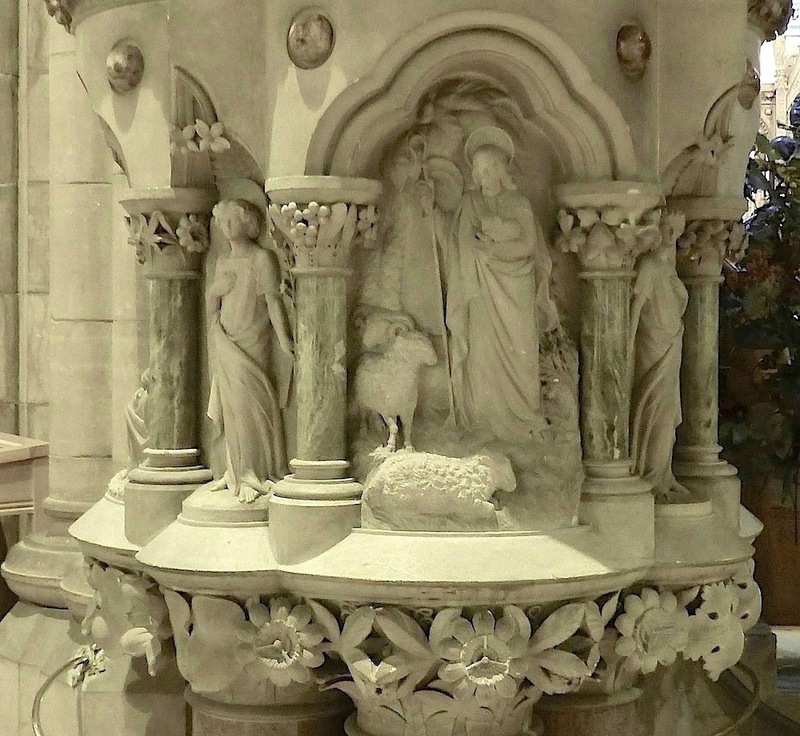 Seen above left is the main forward-facing panel, with a high relief of Jesus as the good shepherd, with a shepherd's crook, and cradling a new-born lamb in one arm, and one of the sheep (surely the mother ewe) comfortably ensconced in the foreground. The scene to the right of this shows St John the Baptist, with a child kneeling in prayer, receiving baptism, and an older person, probably the father, looking on. On the south side is St Andrew, to whom the cathedral is dedicated. The scenes are separated by angels between green marble columns. John Gifford finds the carving "crude" (189), but it is very expressive, especially the central scene, which is eminently suited to the Highland context. "2. Inverness City." www.clandavidson.org.uk. Web. 19 December 2017. "City Centre Trail." Inverness City Heritage Trust. Tourist leaflet widely available in the town.